Interested to hear how you get on Richard! Whats the difference between this and the RaceLogic traction control ? It is very similar to the racelogic system in it's operation. I bought one last month and fitted it, installation was nice and easy as the instructions are clear and easy to follow. Also the developer is very easy to work with and is very prompt to answer emails. The system definitely works and is very sensitive, on the lower settings it even picks up the deformation of the rear tyre under hard acceleration. I am still playing around with the settings with the help of the developer as initially I found the cut to aggressive, since I have changed the setting to a lot lower and now it's not aggressive enough. It's just a bit of trial and error as every car is different. Ok thanks, it seems a really good price, you get support with it and details on how to fit and a current program to upload. You can download the user/installation manual of their website. Ok thanks, I've just had a read, I think it all looks achievable?!?! Where did you fit it ?behind your passenger seat ? I fitted mine behind the drivers seat, my ecu is behind the passenger seat. Have you got your water injection turned up to 11? Me too! Would love traction control on the tubby. Also not sure what is meant with misfire control disabled? I suppose the oem ecu has this enabled and no way to disable? 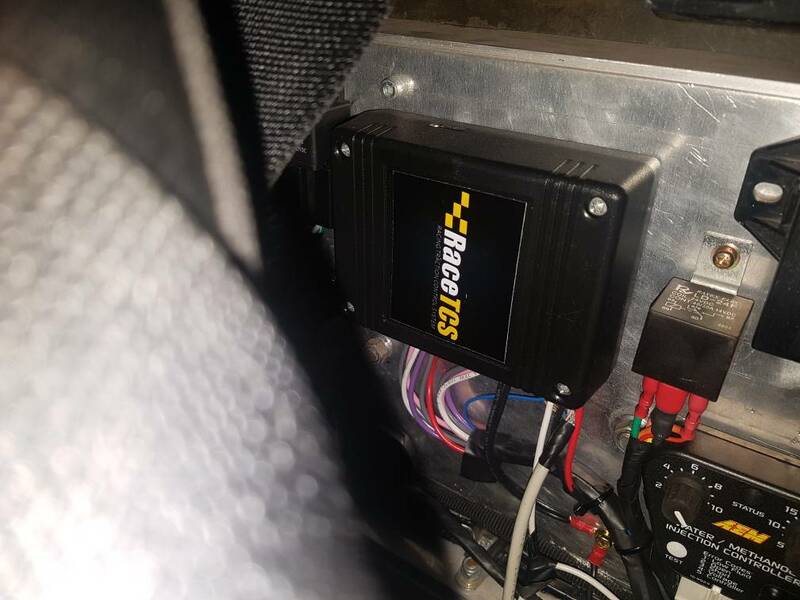 A lot of modern ECU's have a function to activate limp / safe mode if the engine experiences consistent misfires, as its assumed such misfires are as the result of a fault. This type of traction control works by cutting the individual cylinder injector, effectively simulating a misfire which reduces torque. Therefore you need to disable misfire detection / control in order to avoid going into limp mode during activation. This is can often be done by someone doing a remap (or on NA's using OBD-Tuner, just a click). Maybe try Siztenboots on here who knows the turbo ECU well.. Here is a DYI guide that we made together with Jon. We took both logos (RaceTCS and VX220.org.uk) as this was a common effort, if there is any objection regarding using VX220 forum logo in the guide, we will remove it. That sounds great, thank you, is there anything we need to do in the software or is the DIY version preloaded? Do I need to get my exact circumferences loaded into my Dutch software? Or should I just reference the manual from this point on? You do not need to modify your Dutch software (maybe disable that misfire detection). Apart from that you can load VX220 presets to RaceTCS. What was identified during install is that stock NA ecu likes to work in full-batch mode during acceleration enrichment, so presets for Turbo and NA for VX220 differ a bit (injection filter for detecting RPM is 3ms , in Turbo 1.5ms is enough).. When you load the presets, you just setup wheel sizes. Ok great thanks, I have 2 sets of wheels 888s for dry and R1Rs for wet with different profiles, so I'll have to see how sensitive it is. The problem might happen if you put bigger wheels in the back (than set in RaceTCS) and front stays the same. Then rear speed might be smaller by 2-3% , and this will make RaceTCS act later then usually. This can be offset by using 1st setting (1.5%), should still be good in the wet.